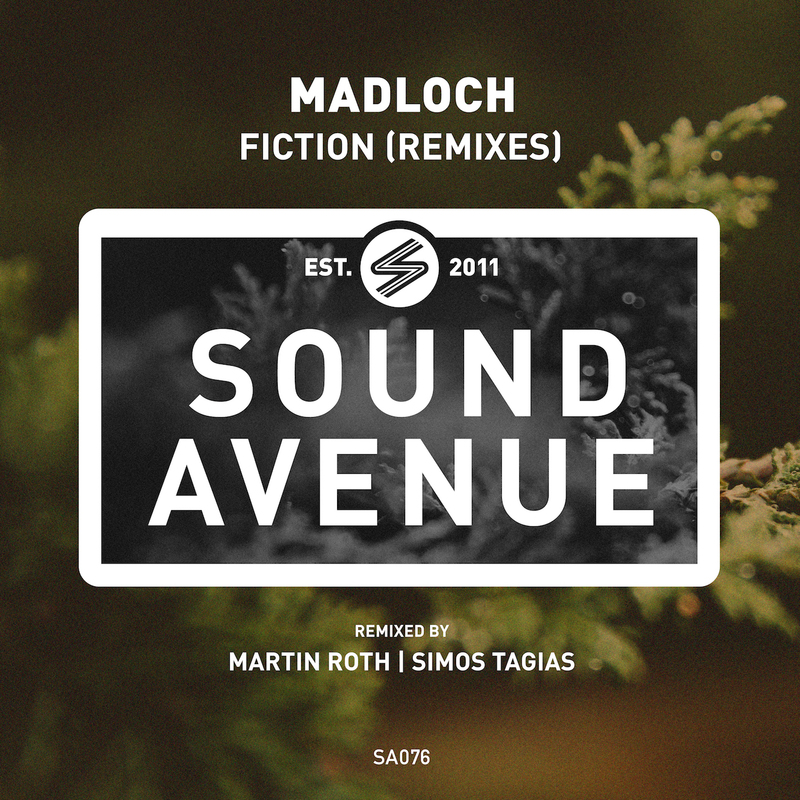 The 76th release on Sound Avenue finds the label revisiting Madloch’s ‘Fiction’ for a brand new set of remixes. Originally released in August of last year it showcased the beginning of a new sound for the Belgian artist. A fresher approach yielded great results with the EP getting well into Beatport’s Top 50 and earning support from Hernan Cattaneo and Nick Warren. Now as 2017 begins to take shape Sound Avenue invites Martin Roth and Simos Tagias to reinvent the track for the new year. Since breaking through in 2009 It’s been a storied career for German artist Martin Roth. The Frankfurt born, Berlin based producer quickly became a mainstay of the AnjunaDeep roster, where he has delivered several EPs and remixes since his first appearance in 2010. Now making his much anticipated Sound Avenue debut Martin delivers a cutting edge interpretation of ‘Fiction’. Drawing on influences from both progressive and deep house the Berlin based artist reshapes the track into a deep, meditative groover. Icy pads, devilish hypnotics and an underlying melancholia make for a moody first act. It’s unique ebb and flow leads to a dramatic break, ignited by growling bass stabs before a smooth drop brings more dance floor magic. The second and final interpretation of ‘Fiction’ is provided by Simos Tagias who is also making his Sound Avenue debut. The Greek artist has appeared on label affiliate 3rd Avenue on two occasions and also owns releases on Hernan Cattaneo’s Sudbeat Music and Cid Inc’s Replug Records. His groovy sound has been a staple of Beatport’s progressive house chart in recent years and he’s turned in an incredible interpretation of ‘Fiction’ to close the release out. With a techno state of mind Simos brings a tougher vibe with mystical effects, waves of claps and a fiery rhythmic core. Anchored by a rolling groove the energy flows with a mesmerizing cadence, before a timely break shifts the tension up. Masterfully crafted, the centrepiece builds anticipation before a smooth energy bridge carries the piece to an exhilarating third act finale. Not only a brilliant remix but a perfect complement to Martin’s heady interpretation, rounding out another can’t miss release from Madloch’s Sound Avenue imprint. Highly Recommended.